Muzzle Energy 139 ft. lbs. 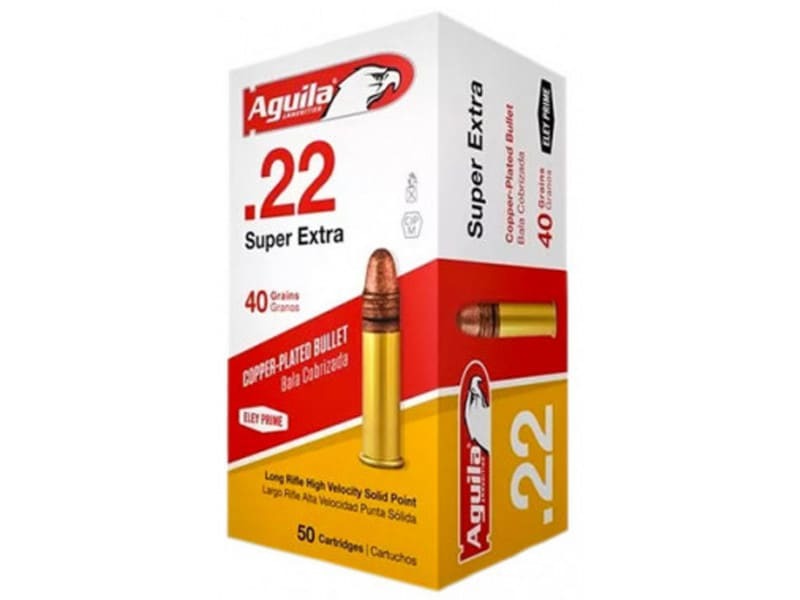 Founded in 1961, Aguila Ammunition is dedicated to the development and manufacturing of self-defense, recreational, hunting, law enforcement, and military ammunition. Aguila Ammunition meets SAAMI as well as CIP standards. Aguila's rimfire ammunition uses ELEY technology, the same used by Olympic shooting teams, and clean combustible powders to offer maximum output at controlled pressures. 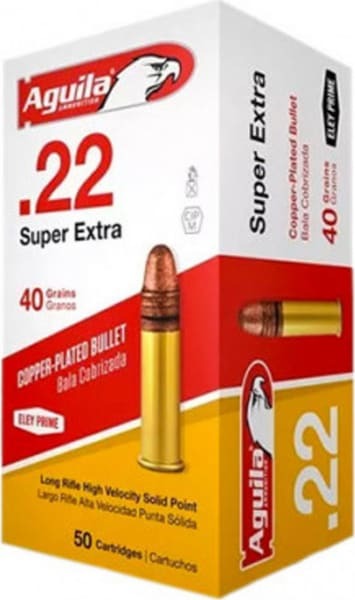 This is their highly sought after Super Extra Standard Velocity .22 Long Rifle ammunition with the .40 grain solid point lead bullet. Comes packed with 10-50 round commercial boxes per 500 round Brick. We sell it by the Brick. Great Ammo, Great Price.